The NEW Back Alley & Rush Hour have arrived! Conventional wisdom holds that you don’t make history by ignoring the rules. Fortunately, people who make history, like Nelson Vails, are good at ignoring conventional wisdom. For decades, American cycling’s elite came from, well, the elite. They didn’t develop their Olympic-caliber talent by outsprinting garbage trucks and dodging homicidal taxi drivers. Then along came Nelson Vails. Day after day, Vails blasted his way through New York City’s mean streets at his day job as a bike messenger. Night after night, he chased down the strongest riders he could find in Central Park. Riding that hard breaks most people. It only made Nelson Vails fast. So fast, in fact, that other riders started calling him The Cheetah. 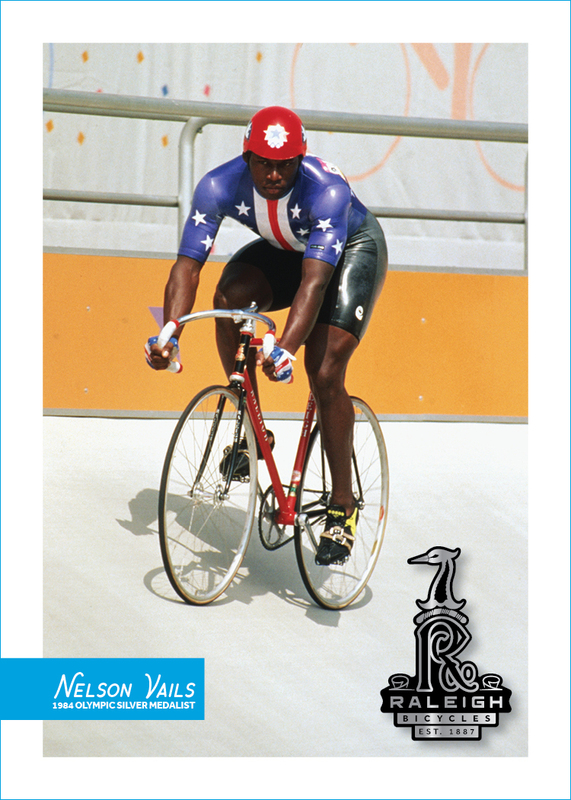 So fast, that a few short years later The Cheetah rode his Raleigh to a silver medal at the 1984 Olympics. 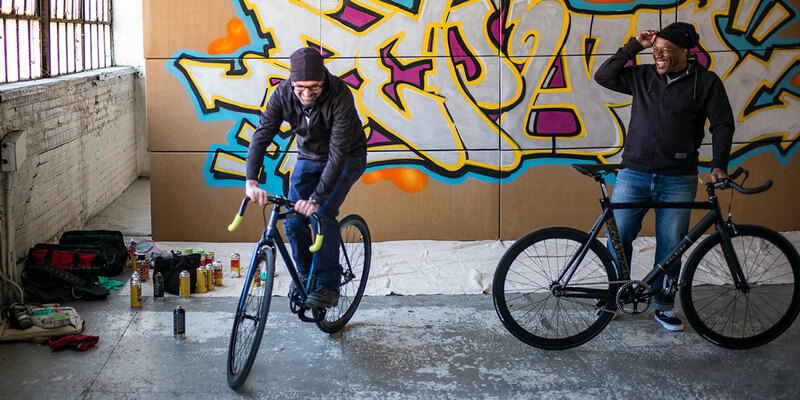 We’re proud to have made history with Nelson Vails and we’re just as proud to announce our collaboration with Vails today on a line of new bikes that celebrate his and Raleigh’s history-making ways. It also turns out that Zephyr is a serious bike racer in his own right. Was Zephyr interested in creating the art for the bikes on the next few pages? Yes, he was. Were we ecstatic? Do you even have to ask? Each symbol on these frames represents a piece of Nelson and Zephyr’s early years in Harlem and Manhattan. Consider it a graphic tribute to two people who changed the game. Fun doesn’t have to be expensive or complicated. Fun doesn’t require carbon fiber, electronic shifting or skin suits. Fun, well, fun looks like the Rush Hour and Back Alley—two messenger-style bikes that are a blast to ride. 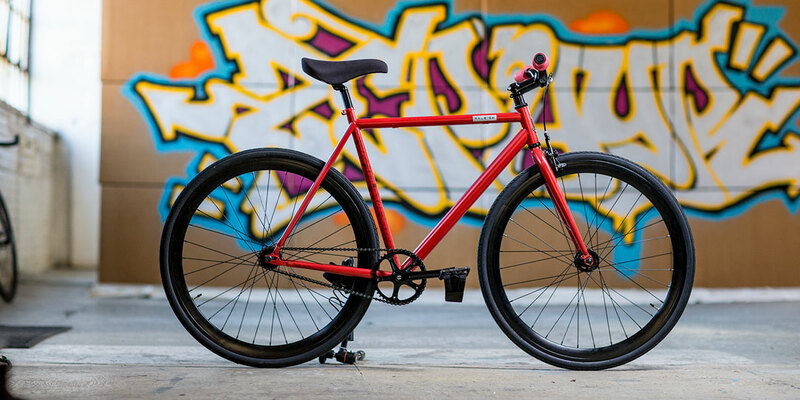 RUSH HOUR Designed for beating traffic and slaying sidestreets, a fixed gear single speed steel bike with Satori track handlebars for a more aggressive road riding position. 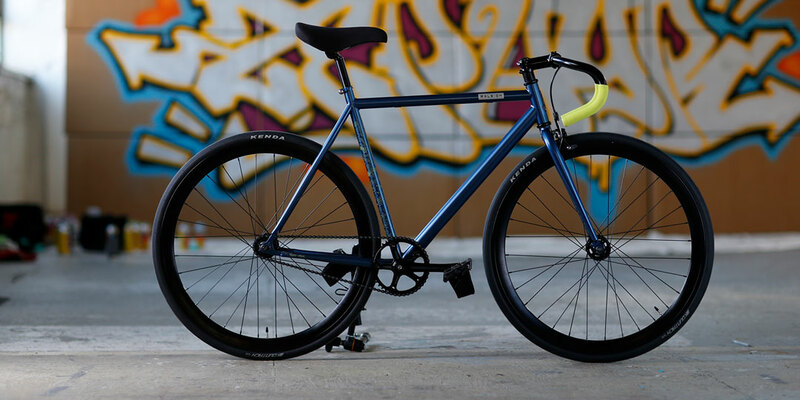 The bike boasts a steel frame, steel tubular fork, and fixed free capabilities (to run as a single speed or fixed gear), as well as removable brake hardware/cable guides for a clean look. 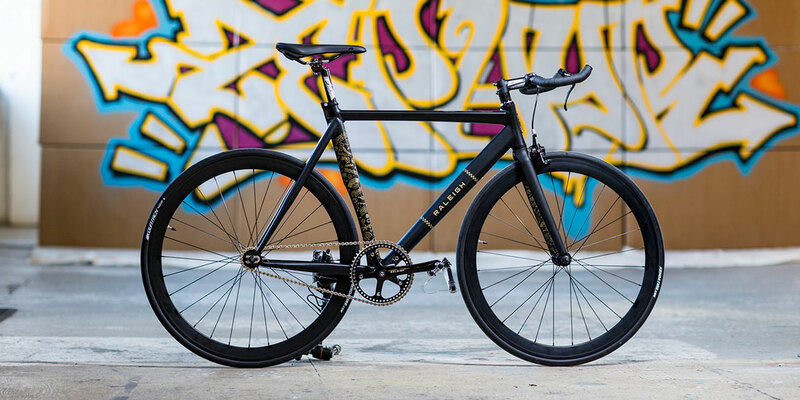 BACK ALLEY Designed for mastering the backstreets of the urban jungle, the Back Alley is a fixed gear single speed steel bike made with equal parts artistry and attitude. It features flat bars and puts the rider in a more upright riding position to spot and dodge obstacles ahead. The Back Alley boasts riser handlebars for wheelies and bunny hopping off curbs, BMX-style grips, a steel frame, steel tubular fork, and fixed free capabilities (to run as a single speed or fixed gear), as well as removable brake hardware/cable guides for a clean look. Either way, you’ll have options… And, yes, you’ll also have fun. 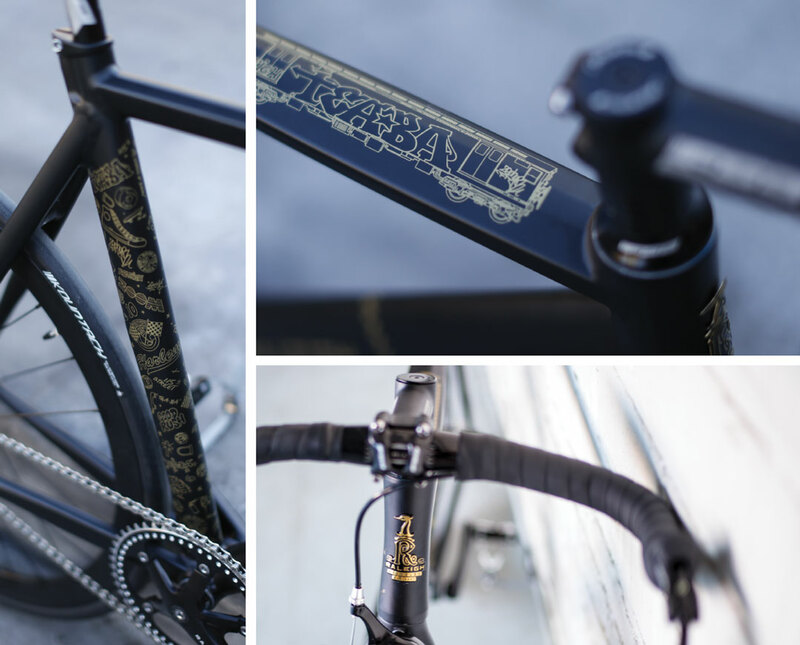 COMING THIS FALL - Teaba is Nelson’s boyhood nickname and his namesake bike is a thoroughly modern take on the straight-up racing whips Vails piloted to countless victories. We paired a custom-shaped aluminum frameset with a feather-weight carbon-fiber fork and a parts package chosen by Nelson himself…the result is quick, thrilling and drop-dead gorgeous. “Nelson Vails is truly one of a kind,” says Zephyr. “What he did as a racer… It’s almost unbelievable. I’ve known him since I was 13 and I’m still a fan. I was honored when I got the call.” For his part, Vails feels the same way about the artist he grew up with. What does Zephyr hope people take away from his artwork?